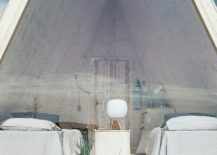 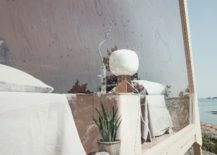 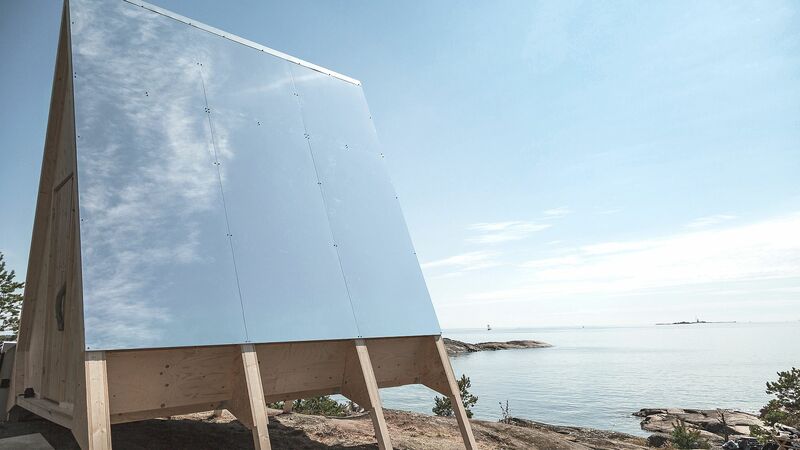 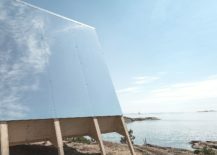 A zero-emission cabin that allows you to live off-the-grid and can be set up pretty much anywhere and everywhere irrespective of the terrain and its gradient – the Nolla cabin is a sustainable masterpiece that you just cannot ignore. 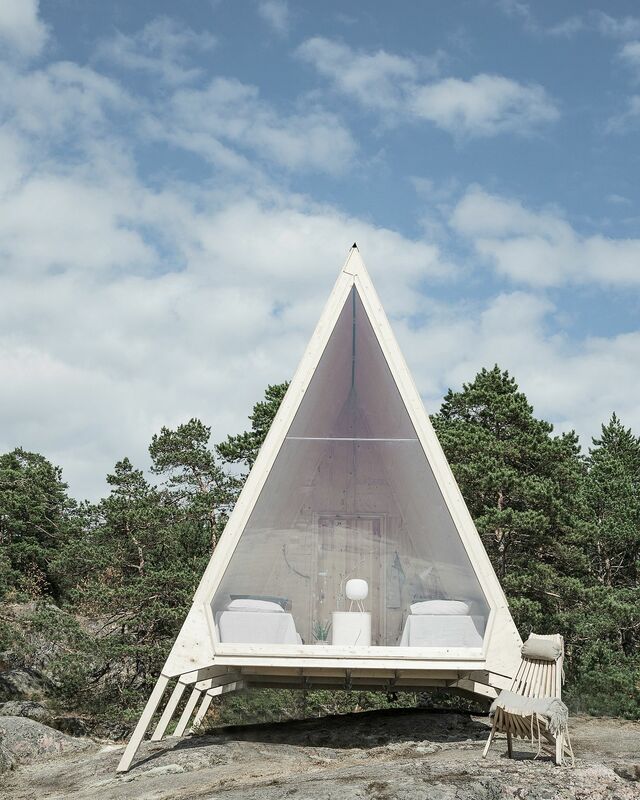 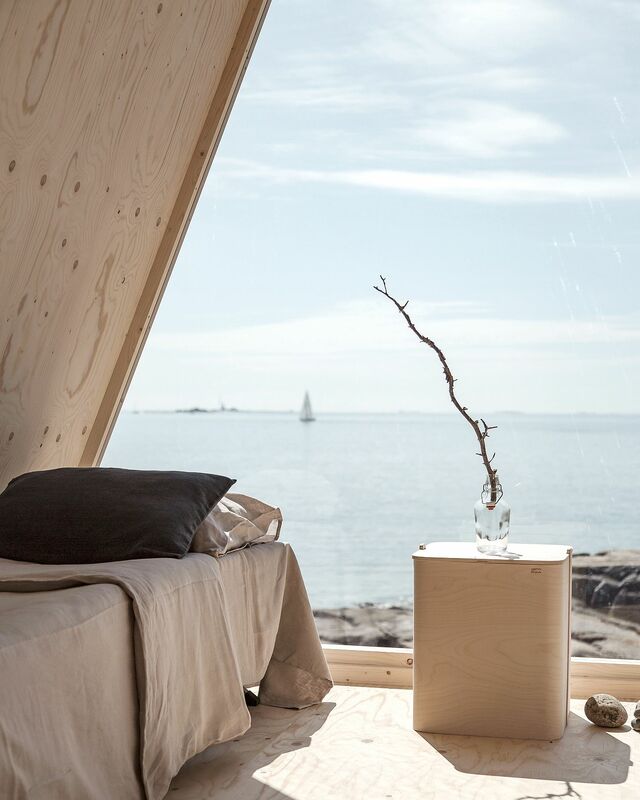 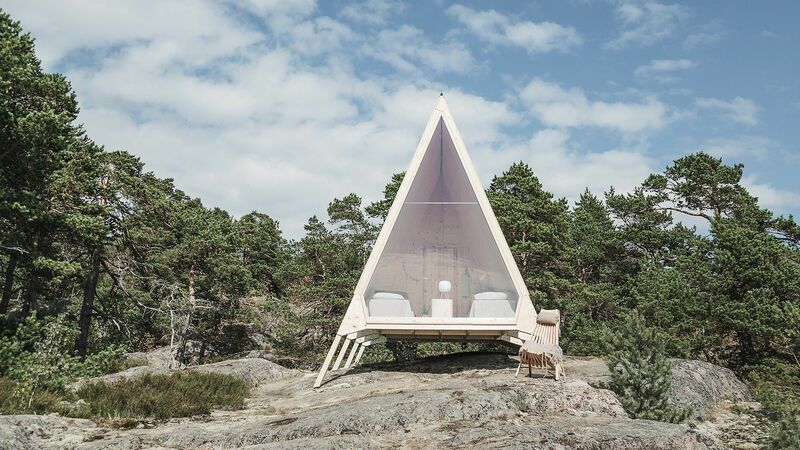 Desigend by Robin Falck for Neste, the cabin comes with a host of green features that makes it an absolute delight. 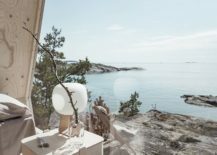 From the solar panels that power its energy needs to the stove in the cabin that runs on neste MY renewable diesel, a eco-savvy bio toilet and host of other features that help one to reduce waste and to recycle, this cabin is absolutely perfect for the adventure-loving green buff! 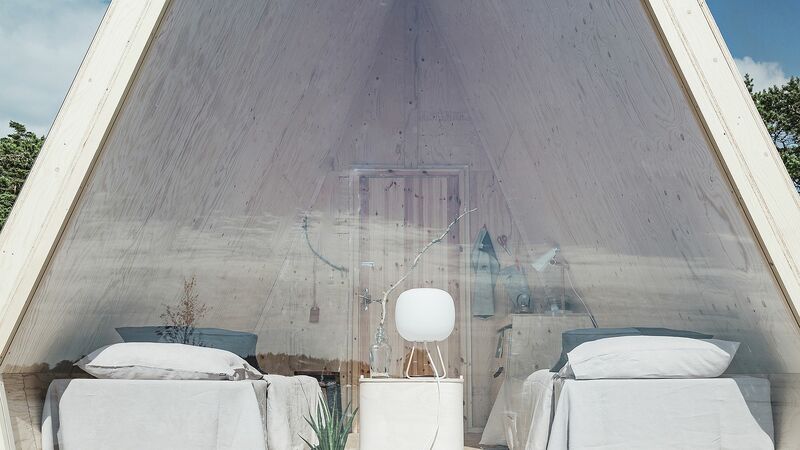 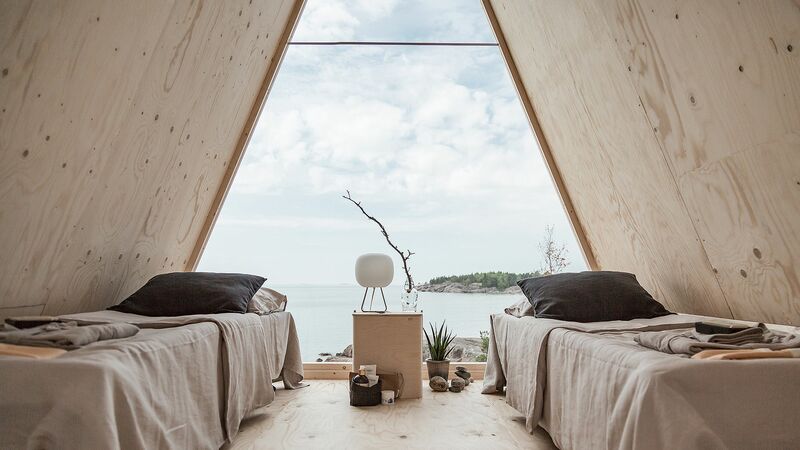 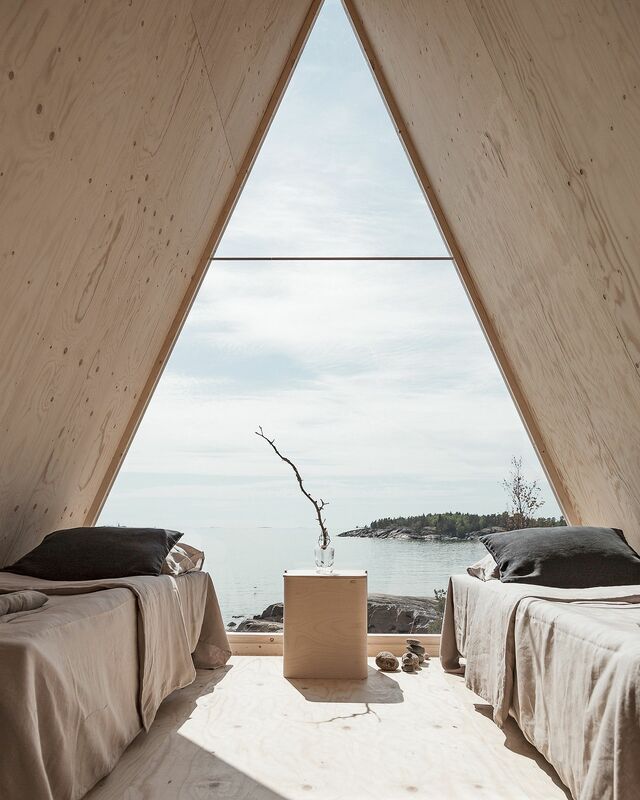 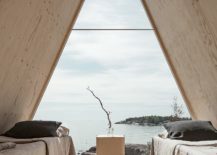 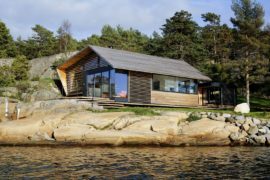 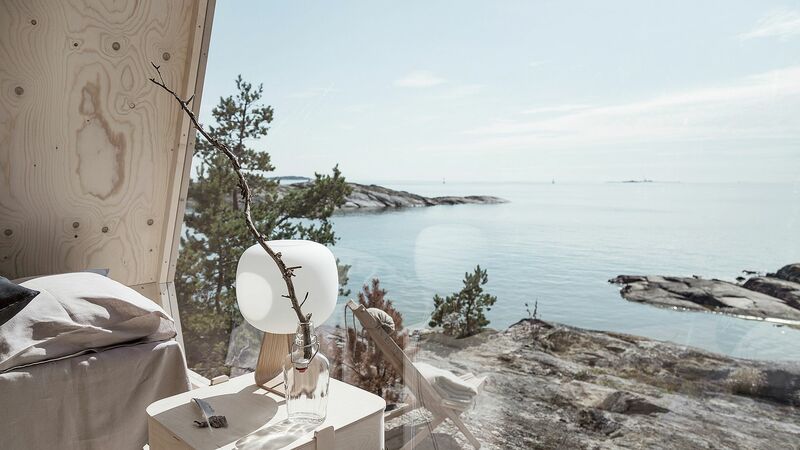 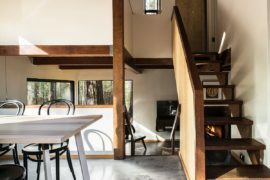 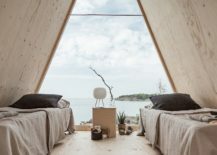 It is Scandinavian minimalism and Nordic design simplicity that hold sway both in the design of this ‘easy to assemble’ cabin and its cozy interior. 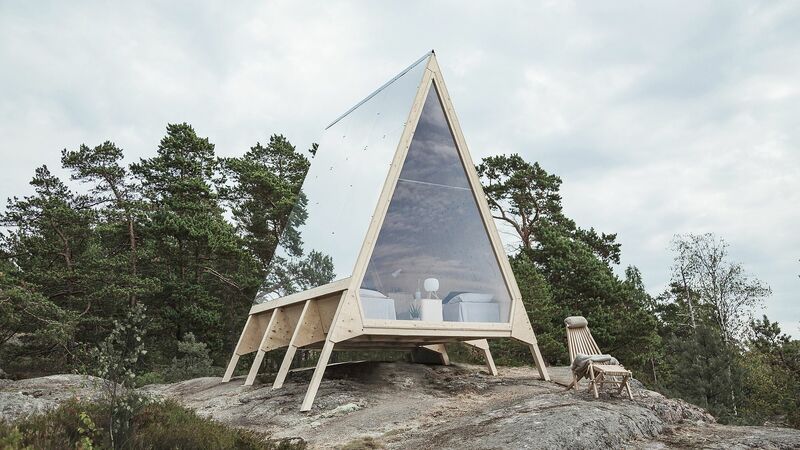 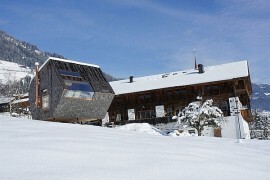 The unique frame of the cabin along with its base ensures that it can be easily placed even on uneven lots while the large window section brings the outdoors inside. 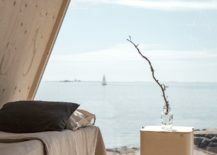 Sustainable décor and bedding from renowned Scandinavian furniture makers can be found inside even as the unassuming ease of the living and sleeping spaces wins you over. 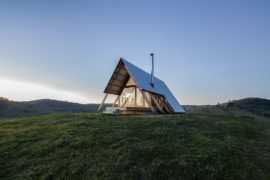 The small wooden cooking station in the corner, beds which are placed neatly to maximize the views available and the overall space-savvy form of the cabin is one that teaches you to live with less and in harmony with Mother Earth! 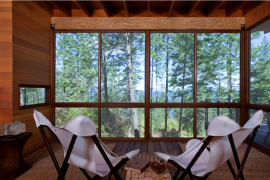 The cottage represents an alternative lifestyle without the hassle of modern amenities. 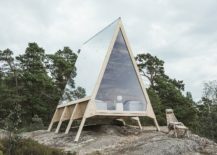 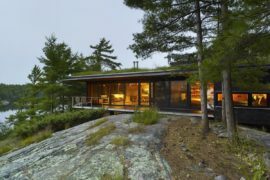 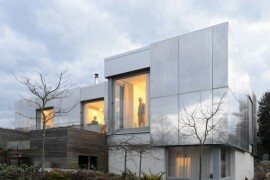 It represents an approach to living where the focus is more on what lays on the outside of a dwelling, rather than within…most importantly, the cabin enables life in the realm of nature, from which I feel people have become alienated.